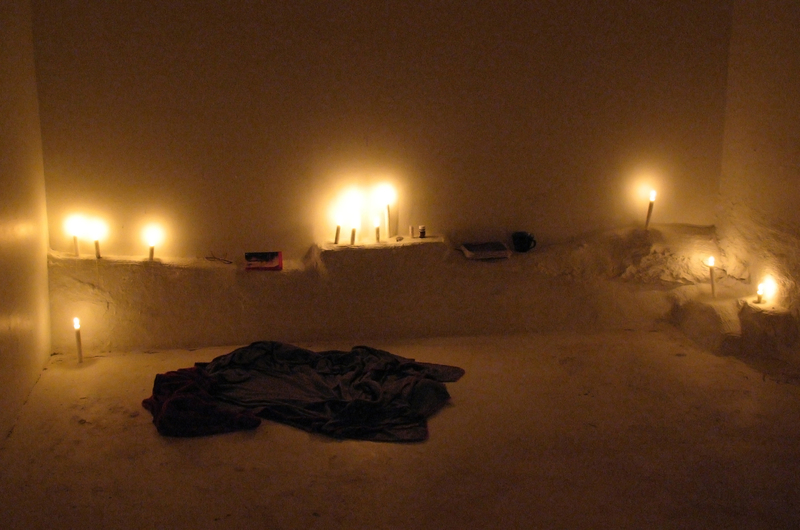 A room lit by candles with writings on the walls and some carefully chosen objects arranged. A recorded voice is reading a story. The sound fills the room. Disturbing and beautiful. Pain- and pleasure filled. Below is a slideshow from version 1 with me reading the text. Swedish. Here are pictures from version 2, the same text was played in the room.